Are the Ferguson, Missouri protests ushering in a new era for police surveillance? Wall Street thinks so. Shares of Digital Ally (DGLY), a company that specializes in equipping police with video cameras, have soared over 500% in the past month. Yes, you read that right. That's more than the U.S. stock market has gone up in the last five years. Digital Ally's surge accelerated after the company's CEO told USAToday that inquiries about its products increased five-fold following the events in Ferguson. The comment was confirmed in a regulatory filing Friday. The Kansas-based firm also announced that it received an order from the state of Michigan worth over $1 million. But investors may be getting ahead of themselves. Digital Ally reported a loss last quarter, and its revenue fell by 32%. The company, whose products include wearable police cameras, vehicle video systems, and even a flashlight that doubles as a camcorder, blamed municipal government budget constraints. Further, no major Wall Street analysts bother to cover the stock. Prior to Ferguson, traded at under $4 a share. It traded above $30 a share on Wednesday before slipping. And Digital Ally is not Taser International (TASR), the better known cousin that's been making strides in its wearable police cameras business as well and sports a market capitalization of over $900 million. 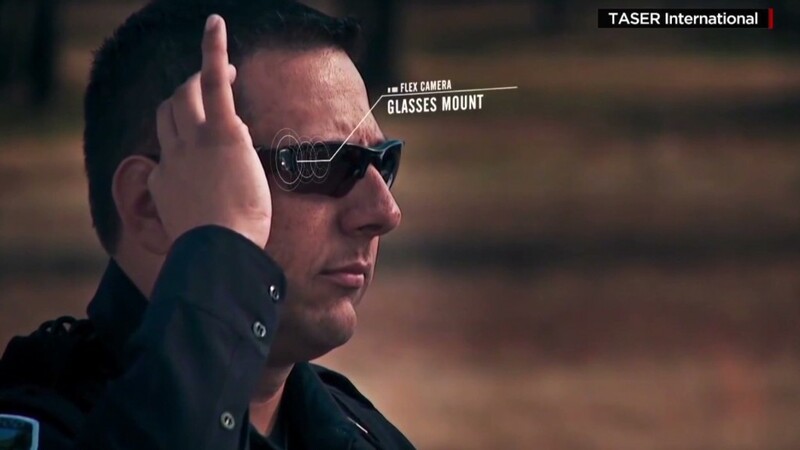 In addition to its flagship electroshock gun, Taser already has its wearable cameras being tested by police forces in major cities such as Los Angeles, San Francisco, Detroit, and London. Yet , Taser's stock is only up around 45% in the past month. That's very good, but it's not the skyrocketing performance of Digital Ally. The thinking with both Taser and Digital Ally is simple: If the film is rolling, a record will be made of any officer who engages in police brutality. At the same time, the videos would provide another layer of credibility for police by showing what they are seeing when they are out on patrol. But it's possible that the extreme run up of Digital Ally's stock may be based on heavy speculation rather than fundamental analysis. The stock fell 31% Wednesday as some investors cash out after the stock's surge and being to reconsider whether the stock is justified at such a high price. Traders on StockTwits, a social media platform, were chatty about Digital Ally Wednesday, but some were harboring a healthy dose of skepticism. "$DGLY this one of those rare pump n dumps that can drop all the way down to $4. Company loses money. Microcap. TASR owns mkt," claimed Retro807. Still, others were optimistic that the stock could continue to climb based on the stock's huge momentum. "Speculative movers like $DGLY often have sharp sell downs but can lift back up just as easily," said DanZanger. Digital Ally isn't the only security stock on the move post-Ferguson. Shares of Image Sensing Systems (ISNS), another smaller company that makes video and radar software for law enforcement agencies, has shot up 109% this week. That company also recorded a a loss last quarter.